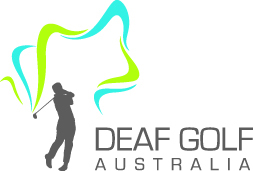 Deaf Golf Australia (DGA) operates in partnership with both Deaf Sports Australia and the Australian Sports Foundation in helping source and raise funds from community organisations and supporters from all over the country. Funds raised through this partnership means that donations of $2 or more are tax deductible, which is a real benefit to donors and makes fundraising easier. All funds donated through this facility will ensure that the money will be redirected to Deaf Golf Australia projects. DGA supports state & national deaf golf championships. Every 2 years we send the Australian team to World Deaf Golf Championships (WDGC). At this time the funding will be directed to the WDGC in Ireland 2018 for the Australian team of 16 golfers (6 men, 5 women & 5 seniors). This will be the first time we are fielding a complete contingent of players in all 3 categories. We need your help to raise at least $20,000. The average cost for each team member is approximately AUD$6,000. Funds currently are earmarked to help subsidise travel & registration costs for each team member who have qualified. If the the target of AUD$50,000 is reached surplus funds will be redirected to Deaf Golf Australia projects. This facility makes it possible for golfers (individual or team) to receive funds the donor wishes to nominate. Thanks for your time here and please show your support by making a TAX DEDUCTIBLE DONATION TODAY! Payment can be made by either credit card or BSB (EFT) fund transfer - if BSB you will be sent an email with instructions. Congratulations to Linda Marchesi on becoming an Australian Champion. So proud of you representing your country in Ireland. Good Luck to Debbie and the whole team travelling to the World Deaf Golf Championships 2018. Funds for Australian team to attend World Deaf Golf in Ireland July 2018 ---- go Australia! !